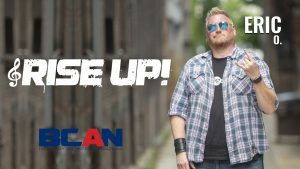 As a life long Toledoan and professional musician Eric Oblander is uniquely qualified to host and produce the Toledo-based music show Rise Up on BCAN. For over two decades Eric has toured throughout North America and Europe with bands such as Five Horse Johnson and Clutch as a singer and harmonica player, all while calling Toledo his home. During that same time Eric achieved his Bachelors degree in Visual Communications from BGSU and discovered that his passion for Video Production rivaled his passion for music. Now, as a dedicated family man, a working musician, and Emmy nominated producer/editor with The Buckeye Community Arts Network, Eric continues his role on Rise Up, as well as taking on a new challenges in developing, producing and creating new shows for the network such as 419 By Design and Live From 201 Morris.